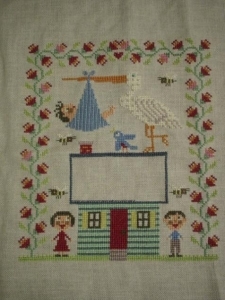 Design:Birds of a Feather "Birds and bees birth Sampler"
I'll give birth on May. As it's my first birth,everything is my first experience. 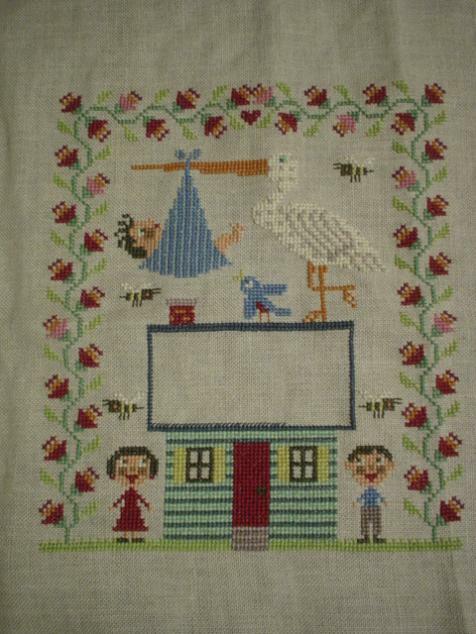 I plan to make some baby goods for my baby!